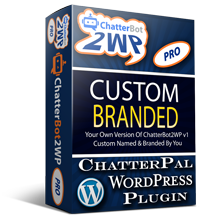 You don't call your product ChatterPals or ChatterBots so why not have your own version of the ChatterBot2WP plugin that uses your own name and branding? Uses your own ChatterPal campaign code in the welcome message. 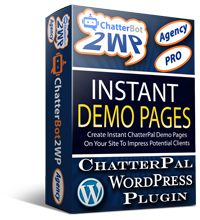 Uses your choice of ChatterPal servers. Your clients do not need to choose that option as you do in the free version. 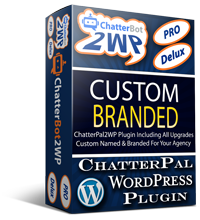 * The code generated by the plugin includes references to ChatterPal servers and are necessary in order to generate the campaign on your's or your client's website. They are not visible to the end user except by inspecting the source code for the website.